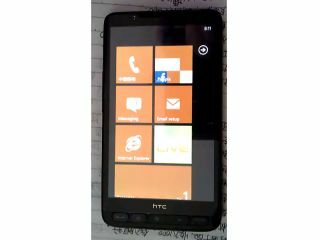 A Chinese forum has finally figured out how to get a fully functioning version of Windows Phone 7 working on the HTC HD2. The HD2 was the last HTC handset to run the old Windows Mobile OS which, even with HTC's excellent Sense UI on top of it, had a number of niggling problems that left our reviewer cold. Many HD2 users on the XDA Developer forum have reported successfully installing the snazzy new OS with no major issues. This includes functioning services like the Zune media app, Zune PC and Mac clients, Xbox Live and the app marketplace. It's not a simple plug and play solution though, some users have had problems getting microSD cards recognised with the correct storage and data connections up and running. It's not entirely legal, however, and it does require a Microsoft activation code to get going; do with this information what you will.